Beyond Courage shows how people survive in holocaust during world war 2 . 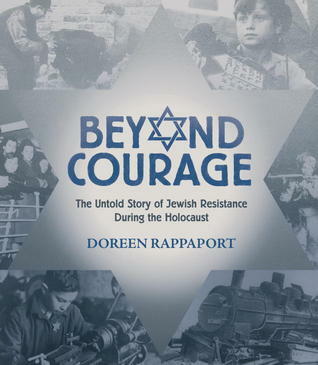 I would recommend this book because it shows courage and ingenuity . How people survive this war and they hope for the future ,also safe others from die trying . I like authors use maps and diagrams ,photos,repuductions ,a pronunciation guide,a timelines of important events ,bibliography ,source notes and an index ,and acknowledge and how she shows her resources and shows her work. I like her what she say " How Jews oraganized themselevs in order to survive and defy their enemy is an important but still neglected peice of history ".That true about Jews . I agree ,.When I read this book in I imaged how I will survive if I this world and how will I do . She shows actions and effects with hope in this book . The book tells how Jews survive in holocaust and trying to safe others.